Sounds like such a frightening place doesn’t it? Suicide Forest, full of despair and darkness. 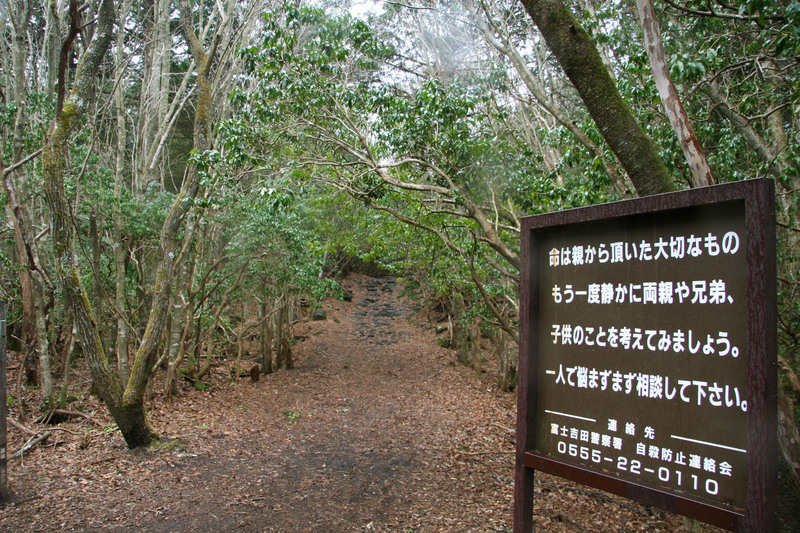 It’s located at the northwest base of Mount Fuji in Japan and is also known as Aokigahara. This fourteen square mile forest is so thick with trees and other natural formations that it makes it difficult to hear anything that doesn’t belong there. If anyone wants to visit the Sea of Trees, be forewarned for it harbors an egregious reputation. It’s reported to have an association with demons and more than fifty suicides took place among the woods in 2010. Sadly, this forest is one of the top three most popular locations worldwide for suicide. Up until around 1988, nearly thirty reported suicides occurred yearly. These lost lives have not gone unnoticed. Because of their tragedies, a warning sign has been erected at the beginning of the trail pleading that anyone contemplating suicide to please consider their loved ones and to contact a suicide prevention hotline. Why the dark history? It’s believed that an old Japanese custom referred to as ubasute was practiced there until the 1800s and that the victims of this tragic era are to blame for the hauntings. Ubasute refers to an act where an elderly relative would be taken to an isolated location and left there to perish, be it by starvation, exposure to the elements, dehydration, etc….. all for the sake of euthanasia. Suicide is nothing to take lightly and should be treated as an extremely serious matter. The following is contact information for suicide prevention. Below is a photo of the warning sign pleading that anyone contemplating suicide to please consider their loved ones and to contact a suicide prevention hotline. This entry was posted in Death, Demonic, Fear, Films, Folklore, Ghosts, Hauntings, Loved Ones, Movies, Paranormal, Phenomena, Sinister, Suicide Forest, Suicide Hotline, Supernatural, The Forest and tagged Aokigahara, Death, Demonic, Euthanasia, Fear, Films, Folklore, Ghosts, Hauntings, Loved Ones, Movies, National Suicide Prevention Lifeline, Paranormal, Phenomena, Sinister, Suicide Forest, Suicide Hotline, Supernatural, The Forest by SheilaReneeParker. Bookmark the permalink. Excellent post, Sheilarparker, and watching the trailer created tons of goosepimples. I didn’t see the name of the author on the book cover–You? Planning to reblog. Thanks for taking my mind off all the BS going on in the world. 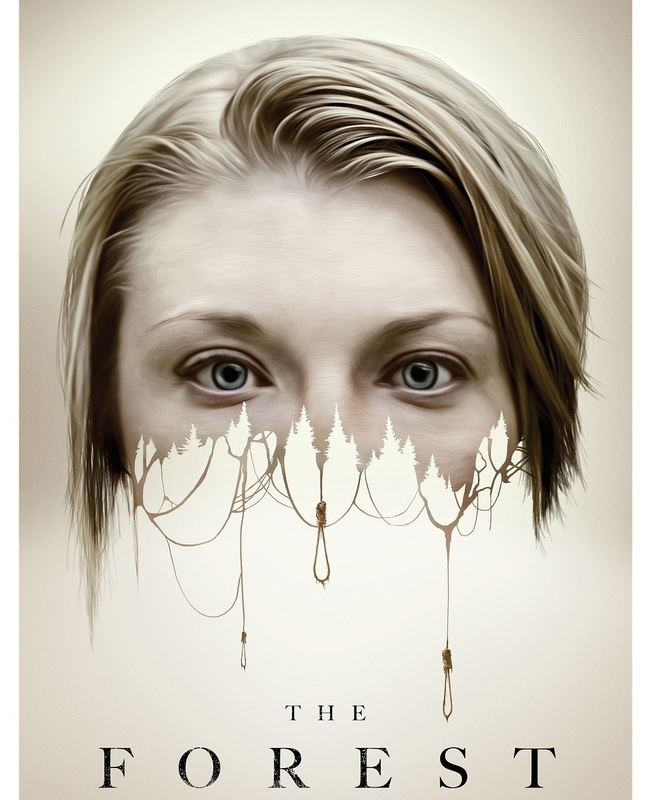 You’re welcome and the image that I used was one found for the film, The Forest. And thanks for reblogging, much appreciated!! With all the BS going on in the world, I found this chilling movie trailer to be uplifting…. Great post! Can’t wait for the movie. I had heard about this place a while back…think it was from one of those “Top Haunted Places” (I had some coffee and reread this lol). I’ve seen the film… it’s quite interesting!